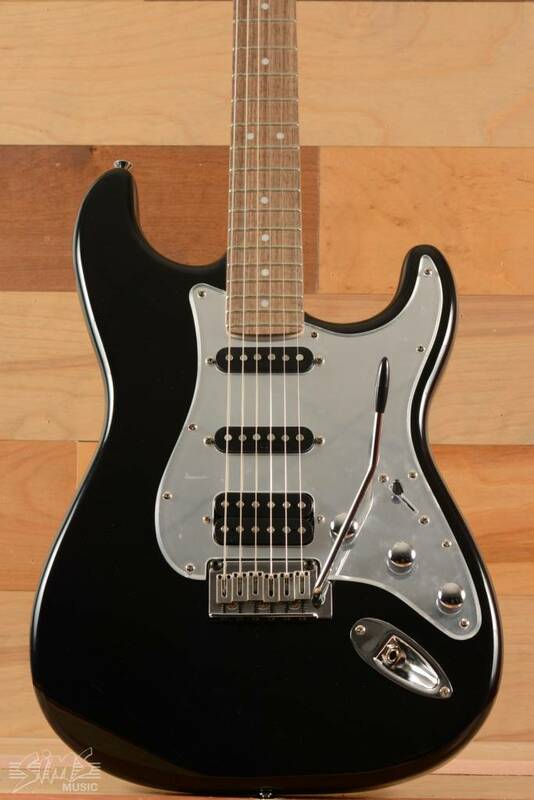 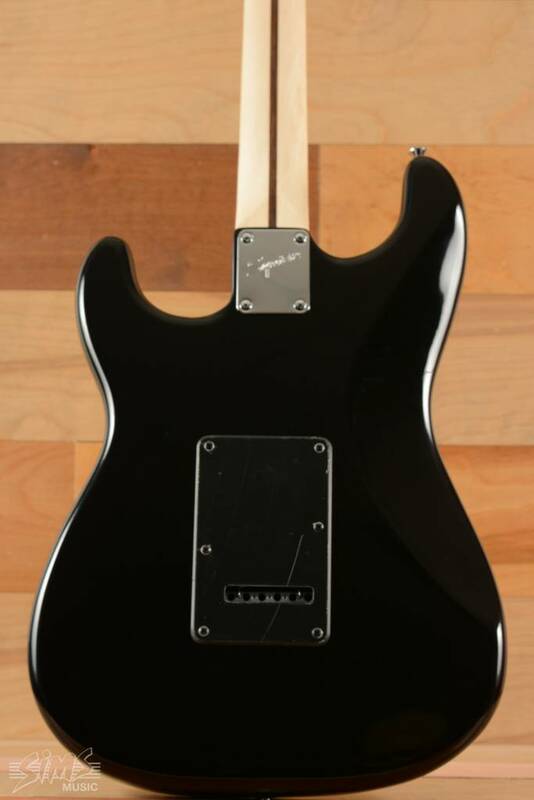 Squier's special edition Black and Chrome Stratocaster® HSS guitar offers classic appeal with a modern edge. 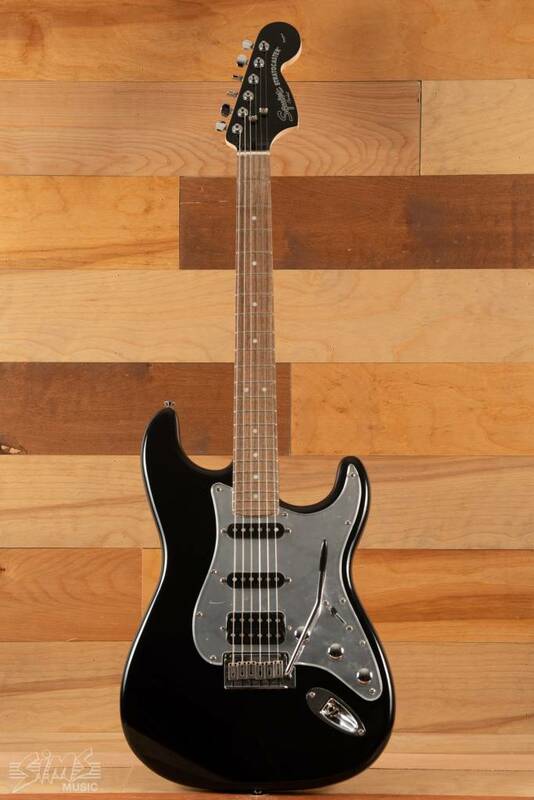 In addition to its many other fine features, this Stratocaster guitar features a sultry gloss black finish and matching headstock. 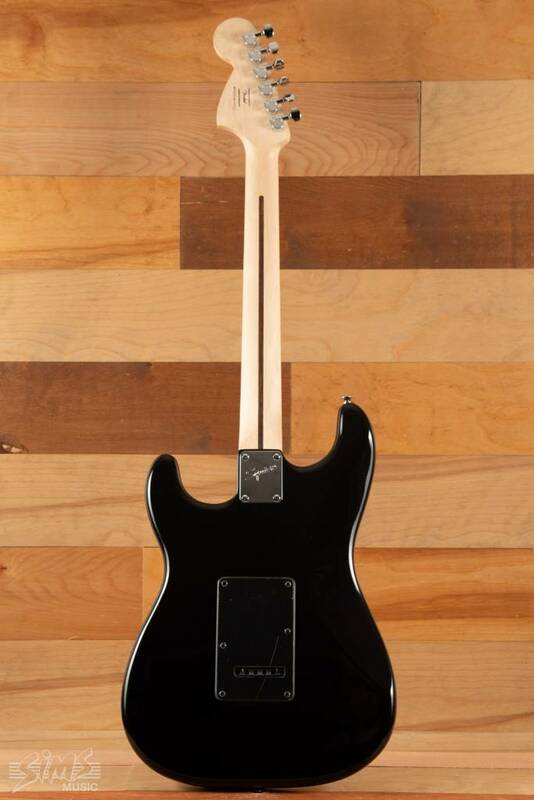 For a stylish touch, the classic Stratocaster pickguard is presented here in a chrome-colored version with a mirror-like sheen that complements the guitar’s black body and chrome hardware.